Philips Hue is one of the best-known smart home devices. It’s compatible with nearly all smart home platforms, but it’s still had shortcomings in the past. One of the biggest complaints was not displaying certain colors correctly. The updated Philips Hue 3rd generation is designed to improve this with richer colors, but is it worth upgrading? Let’s dig in to find out. 1.5 Should I go with Hue? It might be difficult to tell from the box which generation of Hue lights you have, but there’s one small way to find out. Way up in the top right corner you can see the logo for richer colors. This means that these are the 3rd generation Hue lights. 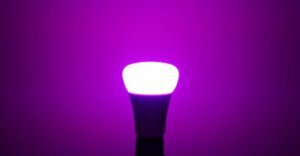 In previous generations of Hue lights, the blues were more purple and the greens seemed more like a “pee yellow,” as reviewers affectionately called it. Hue has now fixed this and we were able to test these colors out first-hand. 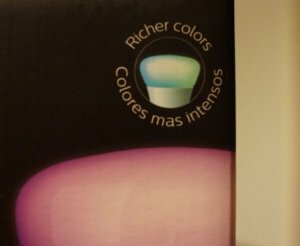 Here are some examples of the colors as tested in our Philips Hue 3rd gen review. Note that there are actually millions of colors available, so if you’re wanting a softer or different shade, the option is certainly there. For this test, we turned the color hue to 100% to show just how brilliant the colors really look. As you can see, the green and the blue are what you would expect them to be. The colors look really good compared to the previous versions (except if you are colorblind, then it might not matter much to you). The Hue white and color bulbs also offer shades of white to change the ambiance, with 50,000 shades of warm and cool whites. 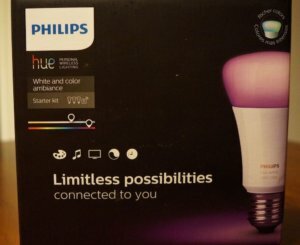 While Hue 3rd gen is certainly brighter than its previous versions, when comparing with the competitor LIFX, Philips Hue 3rd generation doesn’t look as bright. Check out our LIFX vs Hue comparison for a few side-by-side examples to see how some LIFX colors shine brighter than Hue. 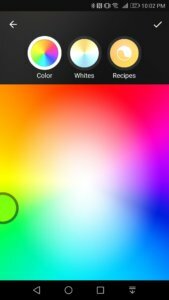 Over time, the Hue app has improved greatly, and the design in the the iOS and Android apps are very similar. Both apps work well, but still don’t have extra features like music capabilities. On the box, it shows the music option, but you have to download a 3rd party app to get the lights to sync with music. In the native app, the basics are really easy to do: turn the lights on and off, change the colors, dim all the lights simultaneously, and more without any confusion. Looking at the color picker, you can see all the available colors. By customizing the exact shade in the app, you can find the perfect color for your preferences. It’s easy to slide your finger over the screen to see all the different colors. Unfortunately, it’s not that easy to pick specific colors like yellow and explore the different shades of only that color. In short: the color picker is good, but not great. 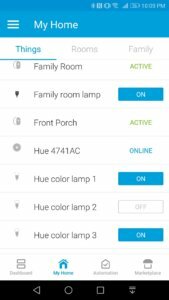 One of Hue’s greatest strengths is its large list of compatible devices: it works with all of the major hubs including SmartThings and Wink as well as HomeKit. By investing in Hue lights, you can be confident that your lights will work with other devices that you purchase. Hue is also compatible with IFTTT which can get the lights to interact with other devices without needing a hub like SmartThings. 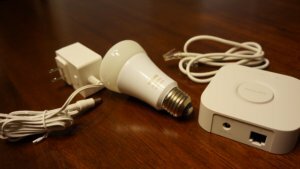 For our Philips Hue 3rd generation review, we tested out the lights using SmartThings and HomeKit. It was really easy to sync up with both systems. SmartThings detected the Hue hub right away and HomeKit scanned a number on the Hue box to get it synced. 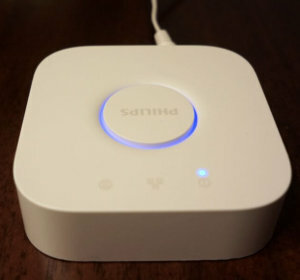 SmartThings and HomeKit worked easily and were just as fast as using the native app. 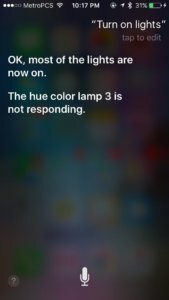 Siri also worked well to turn the lights on and off by voice. If you’re a fan of Alexa or Google Home, you can also use those systems to control your Hue lights. So what is the difference between Gen 3 vs Gen 2? In short, not a whole lot. They both use the 2nd gen hub. They are the same brightness. Use the same app and have the same smart home features. The colors are where you will notice a difference. If brilliant colors don’t seem like a big deal to you, then the gen 2 would be a good fit since it’s cheaper now. Wondering if Hue 3rd generation is worth it? To me, the colors are a big deal and I use the wide range of colors for my own smart lights all the time. 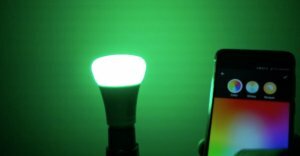 If you’re going to purchase colorful smart lights, you definitely want something bright and showy. Our toddler loves to see all the different colors, and the more vibrant colors catch the eye at parties. For that, it is worth it. Let us know in the comments below if you think Hue 3rd Gen is worth it. Should I go with Hue? In general, Hue has a lot of benefits because of the hub and the wide range of lights Hue offers within the system, including lamps, light strips, and more. Other smart lights that don’t have a hub immediately lose connectivity if the light switch is turned off manually, taking awhile to reconnect. Hue, on the other hand, syncs right back up because the hub stays connected. The other perks of Hue are that its white lights are less expensive than some competitors, making it easier to outfit much of your home with the bulbs. 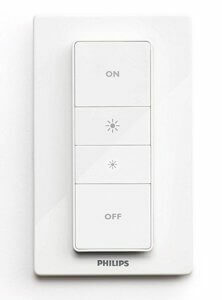 Another option is to integrate your lights with the Hue dimmer switch, which can be installed on any wall because it’s battery operated. The switch is removable for handheld controls. This gives you the convenience of a physical control for your lights as a backup to app or voice control. If you decide to go with the Hue, make sure you check out our 19 Creative Philips Hue ideas and our music ideas if you are throwing a party. Well that wraps up the Philips Hue 3rd generation review. Overall, I highly recommend it as a smart home lighting solution that is versatile enough to grow as your smart home expands. What do you think?